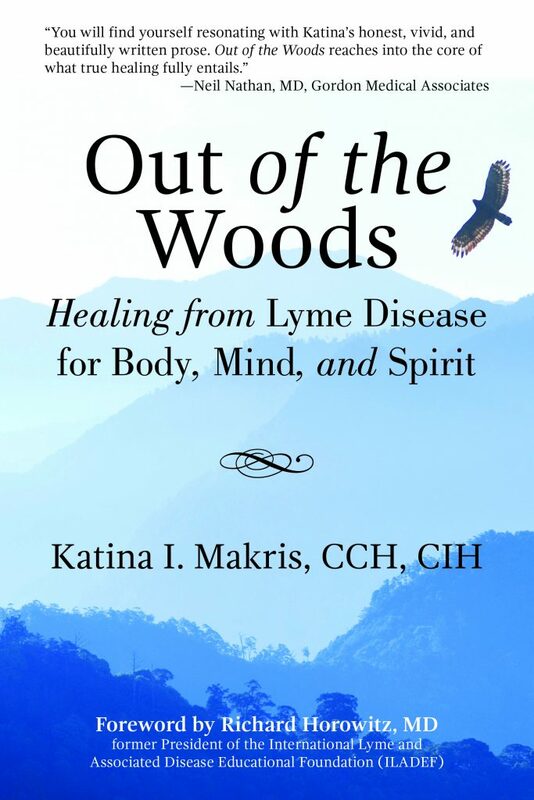 Many of you already know I am a survivor of advanced neurological Lyme disease, who defied the 10% odds of recovery I was given, to now be thriving and sharing my knowledge, story and health care expertise with my books, workshops, “Lyme Light Radio” show and steady social media stream. I carry this healing passion forward because I was given a ‘second’ chance in life, and I do not take it casually. In fact, it is close to impossible for me to sit on the sidelines when I witness so much suffering from this misdiagnosed, mistreated and misunderstood illness; often over-lapping to the autoimmune spectrum. As a young child I was an innate caretaker, toting home motherless bunnies and the lonely classmate at school. My favorite biography was Florence Nightengale. By age 13, I was working as a ‘candy-striper’ at the community hospital and deemed myself to be either an endocrinologist or orthopedic surgeon when I grew up. Off I went to Duke University undergrad as a pre-med major. But, on volunteering in the hospital wards, I discovered ‘doctoring’ in the 1970’s was NOT what I wanted to ‘grow up’ to be. These very intelligent physicians were silent and hidden behind their clip boards, while it was the nurses who bore all the healing, caring ways with their patients and studied their fine nuances. I never saw a physician soothe someone’s troubles in this era. This rattled my course of destiny. I could not become one of those clip board physicians and my strong willed father, vetoed me becoming a nurse! So, I was confused and without direction- a first for uber-ambitious, clear-visioned me. The result was that my mother encouraged me to get a ‘well-rounded education’ so I could have multiple options for a career. Inconceivably, I ended up with a double major in Economics and French Literature (yes, fluent in French then) and, I miraculously accrued all the pre-med credits too!! I look back now and wonder how my brain handled all that? I ended up quitting Wall Street and went back to runway modeling until I could figure out what to do with my intelligent and caring nature. Of course I ended up quitting Wall Street and went back to runway modeling (from prior experience in my late teens) until I could figure out what to do with my intelligent and caring nature. A year or more floundered by. “Here honey, try these. They have no side effects and work like silk. The Nelson’s pharmacist fixed up my GI troubles 1-2-3, and he said this is perfect for you,” came George’s confident words. I put them on my shelf and politely ignored the pretty white packet, with green lettering. I was scared to try this unknown stuff. All the remedy provings had been done on trials of humans, not animals, over 180 years ago and are still true to this very day. I read more books and couldn’t stop. By the time I made it into Dr. Ofgang’s office 2 months later, I had figured out what two remedies best matched my symptom picture and born constitutional type. Dr. Ofgang was amazed with my aptitude! “How can I become a Homeopath?” I asked the wise, perceptive doctor whom just spent 90 minutes with me, and not hidden behind a clip board. The rest is etched in stone. Dr. Eizayaga was in his late 70’s, filled with savvy and debonair charm and he chaired a top notch hospital in Argentina, where his clinical expertise could restore collapsed lung, uterine prolapse or dissolve kidney stones. There I sat at the feet of the master, with my steel trap memory retaining everything with wonder. I was lit with a fire within. I found my ‘match’- homeopathy fit me perfectly! My attuned, healing nature could finally be put to work professionally. 1991: Divorce loomed and I needed to relocate to a ‘safe state’ as homeopathy was not legal to practice in every USA state, though all of Europe, India, South America, Canada include it in their national health care systems. Sadly, Homeopathy, formerly the predominant medicine in the USA during the 1800s, had been dissolved in the 1930’s (along with Naturopathic and herbal medicine) by a man named Abraham Flexner, whom the new FDA had hired to place patent laws in effect-which were truly needed with all the snake oils and elixirs being peddled at circus side shows and in barber shops. But, Flexner supported the new fast acting pharmaceutical trade and deemed all the other ‘old fashioned’ medicinals as outdated, or worse yet, ‘quackery’. Homeopathy was illegal to practice in New York I sadly discovered in 1991. New Hampshire was a ‘safe haven’. I blessedly was invited to join a Natural Medicine clinic in a quaint country town. I blessedly was invited to join a Natural Medicine clinic in a quaint country town, and within a matter of months I was ensconced in a full tilt practice as the only homeopath in an 80 mile radius, clients driving in from Maine, Vermont, Massachusetts and elsewhere. New Hampshire touched my soul, with its velvet green pine forests, high mountain streams and the call of the melodious hermit thrush at dusk. My new friends were authentic and outdoorsy, attuned to organic living and very like minded to me. Soon area physicians were forging bonds with me and referring their ‘stubborn’ cases of fibromyalgia and much more. 1996: I remarried and settled into country living with our free range chickens, huge organic garden and home baked bread. My clientele became extended family to me, as I helped raise so many youngsters without pharmaceuticals and ease the elderly through gout, arthritis and dementia. In my 30 + years I have never had a childhood ear infection case I could not solve, nor a menopausal crisis not resolved with the magic of my homeopathic remedies. One severe winter, a bad strain of pneumonia hit our region. My 18 cases all swiftly resolved within 3 weeks, while the others whom relied upon allopathic medical doctors ended up hospitalized and well over 8 weeks to heal. Homeopathy shined at its finest for me in those times. Something is way wrong with me, this feels like malaria, like when I was 15 years old in Africa. Dr. Tom gave me an exam, drew some blood and insisted I stay in bed through the weekend as my blood pressure was so low. I felt like hell-too weak to shower without help! 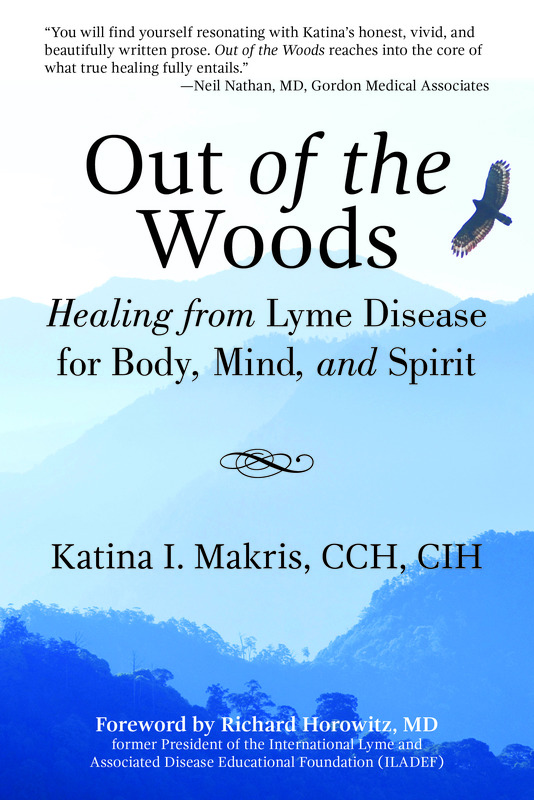 My multi-award winning memoir Out of The Woods, Healing Lyme Disease, Body, Mind & Spirit details the 10 year decimating journey I experienced at the hand of what was actually undiagnosed Lyme disease. My M.D. colleague did not test me for Lyme that sunny June day, (no one even thought it existed in New Hampshire in 2000) and the later tests in the years to pass were all false negatives. I was cross diagnosed with CFS, fibromyalgia, migraine complex, IBS, anxiety disorder and had early MS symptoms. My world was falling away from me, I was terrified and traumatized. Tragically, I lost everything I loved and created in my 50 years of life. My beautiful homeopathic practice, income, savings, handsome husband and woodland home, popular newspaper health column, confidence and identity were stripped at the hand of this insidious and deeply destructive bacterial infection, which found its way into my organs, endocrine system, spinal fluid and brain. Sadly, my spirit broke along with my body. I was bereft. I was never so elated and simultaneously furious when I saw the glaringly positive results there in front of me on paper! 2005: Bedridden for 2 years by now, a gifted PhD clinical nutritionist colleague finally properly diagnosed the neurological Lyme disease via state of the art testing at Igenex Labs. I was never so elated and simultaneously furious when I saw the glaringly positive results there in front of me on paper! No wonder why a formerly picture-perfect healthy, athletic, holistic, vibrant woman in her 40’s deteriorated into such a fragile wreck! I was NOT imagining this nightmare, and HOW angry I was that the medical world was relying on a shoddy 40-year-old out dated ELISA Lyme disease test, with a 70% false negative track record? Why is this test not pulled off the market and replaced with something more accurate? Welcome to the apex of the global pandemic infectious disease health care crisis! Lyme disease is found in 89 countries of the world, is surging in Germany with over 800,000 new cases per year, the CDC finally upped the skimpy 30,000 cases per year to an estimated 300,000 cases annually in the USA (we know the figures are higher) and Lyme is soaring 4x faster than AIDS! Everyone is vulnerable to being infected, as ticks are the primary carrier (red ants, too), and anyone can wander in a meadow, golf course fescu, take a woodland hike or go fishing alongside a creek, where ticks reside and climb aboard the closest heat emitting mammal they can sense. 2007: Another miracle would occur. On scholarship aid and deep determination, I began a full year training program at the Stillpoint school of Integrative Life Healing in 2006. Only one year into Lyme disease treatments, I arrived at school mostly horizontal and lying on a yoga pad for part of the classes, while the internationally renowned Spiritual Healer, Dr. Meredith Young-Sowers, trained 35 hand picked students to become certified as Medical Intuitives in her Stillpoint metaphysics of mind-body- spirit medicine. The catharsis and healing I would experience in the months to come was profound and helped me make the complete surge to recovery. In June 2007, with tears welling, I surprised my own self when my classmates elected me to give the commencement address as valedictorian! Who would ever have dreamed, bedridden for 3 years prior, that I could now climb a mountain, nonetheless turn on my own and others inner healing codes. That June afternoon, wreathed in sunshine and smiles, with white silk shawls on our shoulders, my classmates and I knew we were on the verge of profound healing discoveries and had been anointed with powerful healing skills. And, I shockingly had a book manuscript in process! Grace had entered my formerly darkly shrouded world of suffering. Katina Makris, this is Dawson Church at Elite Books, you are a very talented writer and what a testimony to personal transformation at the hand of illness your story is! I decided to submit my manuscript for “Out of The Woods” to publishers. 54 rejections later, #55 called me on the phone; “Katina Makris, this is Dawson Church at Elite Books, you are a very talented writer and what a testimony to personal transformation at the hand of illness your story is! We would like to publish your book. You are an example of what we call a ‘thriver’ in epigentic medicine. You have turned on a gene set that everyone bears, but don’t always engage. Did other members of your family defy life odds?” this polished, genial man’s voice enquires. My heart rang to the hilltops of my pine clad township. Standing in my living room the winter sunlight refracting off the snow onto the coffee table glass top, I felt the plates of my life shifting ever so slightly. “Oh my God, Dawson! Thank you! Thank you, I promise to be an excellent author.” I was elated, tears on my eyelashes. People came to meet me and hear my words of insight on Lyme disease testing, treatments, inspiration. 50 million Americans have been diagnosed with autoimmune illnesses. These conditions did not exist 100 years ago. MS, Lupus, CFS were very rare. The confluence of environmental, dietary and pharmaceutical toxins have burdened the human body significantly since post WW2. We add in the accelerated fast pace, the electromagnetic fields and emotionally charged lifestyles we lead, and when an aggressive bacteria like borrelia infects one of us, well then the immune system cannot defend its own self and flips into a cytocine storm within, triggering all sorts of internal inflammation. 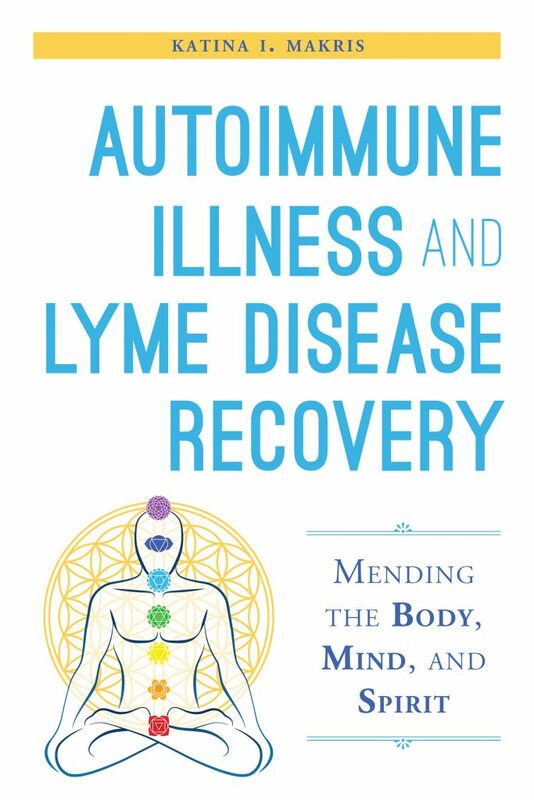 My second book, Autoimmune Illness & Lyme Disease Recovery Guide, Mending Body, Mind & Spirit details all the pieces you need to understand in order to get well from Lyme or autoimmune illness. I must say, (even of my own work), this is an amazing book- I spell it all out for you! My 35 years of experience in natural medicine weaves together with such ease. People tell me they call it a “healing bible”. That makes me feel more than proud- I am touched. This means my life has not been lived in vain. 2017: Today, I swam my now daily half mile, in the crystal pool at the glamorous high-rise condo I am renting in sunny Miami for the winter. I basked in the glorious 85 degree heat, soaking up as much vitamin D as my Mediterranean skin will take. As lovely as bucolic New Hampshire has been for me these 25 years, the winters have become too harsh, setting off SADD syndrome in me with spades! I have the wits about me to work remotely on Skype and phone, counseling Lyme disease and autoimmune cases from all over the world these days, relocating to the sunshine state to help me stay healthy. I sense the weary, the wounded, the searching souls whom are tired of suffering, with scant support of recovery. You are not alone. I am here because I care. There are many of us here because we care. The absolutely sterling fine people I have met, who host me on book tours, at support groups across this nation, in foreign countries and who join me in facing this Lyme disease crisis are brave and resourceful and strong. You are too! Belief is a life altering tool we carry within. It is one of the 7 inner gifts we bear for igniting the mind-body healing pathway. 7 is a magical number. You own your personal inner magic. Healing happens on the inside. Let’s shift the plates in your life path. I believe in you. Join me as I expand your potentials to healing and full life purpose. Let’s stay in touch – send me an email so I can share important news and events with you!